The Latvian government-owned airline airBaltic has recently announced that during the busier summer months it will increase the frequency on Riga–Reykjavik route. From May 25th, 2019. the carrier will be operating three weekly flights. 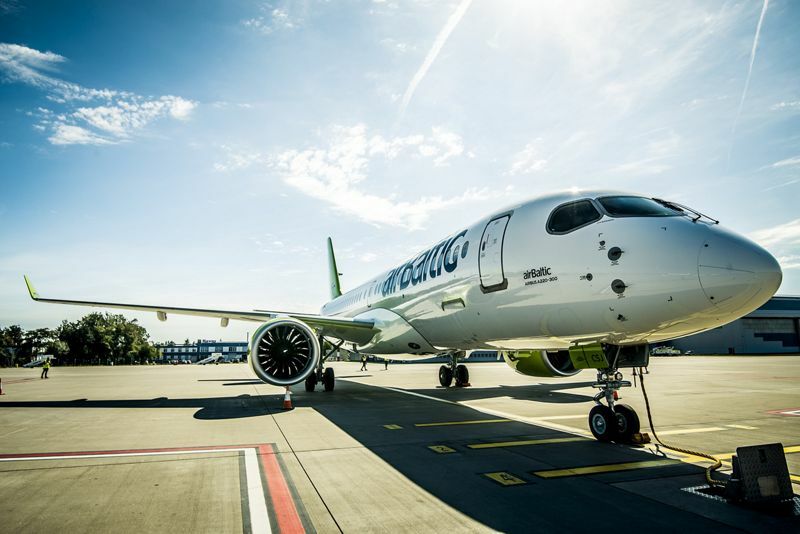 Passengers travelling between Riga and Reykjavik will board an Airbus A220-300 aircraft for a flight that will last 3 hours and 55 minutes. One-way ticket prices to Reykjavik start at 89 euros, including airport fees and transaction costs. Riga an artistic jewel of a city! Riga, the capital of Latvia, is one of the largest cities in all the Baltic states and is a key economic centre for the region. It is also home to the largest collection of Art Nouveau buildings in the world, indeed the old town of Riga is a UNESCO World Heritage Site because of the historic architecture. Whilst the architecture may hark back to times long ago and there are a vast array of museums and cultural ports of call to visit the city maintains a young and vibrant heart. This is perhaps because of the number of young people attending university in the city as well as tourists coming for the nightlife. 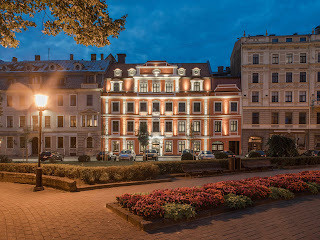 Riga's main attractions include Riga Cathedral and St. Peter's Church and don't miss either the 14th-century Riga Castle, which now houses the official residence of the President of Latvia. Eating out in Riga is a relatively cheap activity with numerous restaurants or varied cuisine type and price tag. Alus Seta, in the Old Town, is a great choice for your basic, but hearty veg and meat dishes, with either big portions or buffet style and low prices. Probably best to go elsewhere for seafood but everything else here is great value, oh, and it serves great beer too! If you fancy pancakes, then Šefpavārs Vilhelms, Šķūņu 6, is the place to go for the best and probably cheapest stuffed pancakes in town, this is a delightful place and recommended for good grub at cheap prices. Stargorod, Republikas square 1, next door to President Castle is a hot little place to head to for the local food at good prices. It is a big place, lots of TV screens, can be noisy, lively and jolly busy during various sporting events. The beer is top quality too and well worth a visit, just for that! There is a charm to the city that makes it a great destination for a city break, English is widely spoken, as is Russian, some German and of course Latvian. Getting around is easy thanks to the trolleybuses, trams and minibuses that abound the city and the cost is very reasonable. 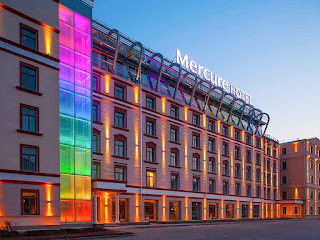 One of the best mid-priced hotels in the city is the Mercure, which is both stylish and cool as well as contemporary and comfortable. This is a 4 star Superior hotel in the heart on Riga's historic centre next to the Central Railway station, occupying a magnificent 1901 Art Nouveau building designed by the world-famous architect K. Peksens. Easy walking distance to Old Town and cultural landmark attractions: Freedom Monument, National Opera, Dome Square. It has a nice fine dining restaurant and bar, also worth a visit is the luxurious spa. More hotels in Riga can be found here, including the popular Dome Hotel & Spa, Garden Palace and Astor Riga. 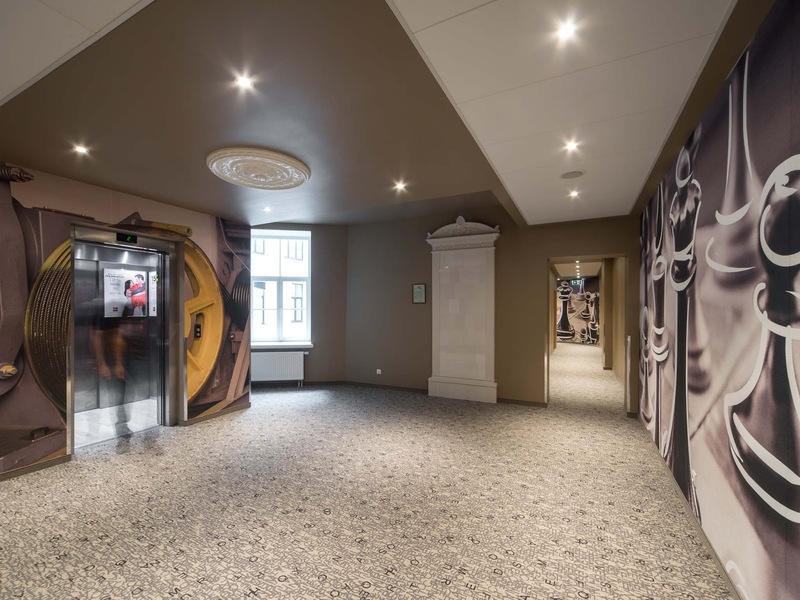 The Ibis Riga Centre is a vibrant hotel that has recently been refurbished into one of the outstanding midscale hotels in the centre of Riga, 90 meters from Central Station. A hotel used to be here ever since it was built in 1895 by Karl Johan Felsko. The inspiring design of our rooms, the modern Book Lounge and the charming round the clock light meal restaurant represent the new concept of the ibis brand. Riga old town, Freedom monument are within a 500 m radius.